After struggling with an 8 year long battle with eating disorders, Rachel finally found her freedom, self acceptance and love through the practice of yoga and rock climbing. Rachel's classes challenge you to believe in yourself. A great flow class. A note from Alex: "Expect to be challenged to leave your comfort zone as we work with mantra, breath work, and physical exercise to create specific energetic effects in the body. The class is geared toward inspired self-transformation, so we might practice a set to balance the brain, open the heart, or balance the thyroid gland. No two classes are the same." Hatha Flow Yoga with Shawna on Sunday morning at 11. Shawna is a terrific yoga teacher. You might find other yoga teachers working out on the mats beside you in her classes. She pushes you to your personal excellence. Work it all out and then go to brunch in downtown Charleston...a perfect Sunday morning! See you in class! Beginners and advanced students are welcome to all classes. February 9 - Second Sunday Warehouse Sale! We are purging our warehouse to make room for our new arrivals! NOW $10 - $20 Over 80% off!!! House of Colour is coming to Seeking Indigo this month. It's all about simplicity and beautiful color and finding your perfect individual style. In addition to Personal Colour Analysis, a new line of House of Colour clothing and fabulous cosmetics are on the way. Making room for this exciting new opportunity. Stop in Sunday 11-4 for rock bottom markdowns that won't last long! A one day sale you don't want to miss. Can't make it in on Sunday? Send us an email and we'll arrange a private showing just for you! Its been a whirlwind of a last few weeks with trips to Martha's Vineyard, Los Angeles, Denver and a wonderful visit to Charleston by our new House of Colour friends from London. It reminds me of when I was launching Seeking Indigo a few years ago. There was such a frenzy of activity around me yet everything fell magically into place. Manifesting with effortless ease and grace happens when you are in alignment with your purpose and doing the work you love. It's as if the universe begins to open doors you never knew were possible. When I least expected it, my love of designing clothing, my desire for deeper connections and my mission of giving women a gift of ageless beauty have all merged to deliver an amazing new opportunity. Welcome to House of Colour, a new concept that will be housed in the walls of Seeking Indigo. It changed my life and I have a feeling it may change yours as well. Join me and my wonderful House of Colour partner Cyd Moore, on this amazing adventure of transformation. Begin creating the look you want! You deserve it. Join our blog Want to keep up with my journey and explore a deeper level of intimacy behind the scenes of Seeking Indigo? We welcome our tribe of seekers into our playground for the soul.... join me...join our blog! New Research: Common Multivitamins ARE bad for you. I agree. FREE Treatments on BEMER Sampler Night! More and more people are choosing to own this device in their home for daily treatment - it has changed lives. BEMER technology is currently the best researched and most effective physical application method in complementary and preventative medicine. How do we benefit from better micro-circulation? Of the 45,000 illnesses or conditions that affect humans, 80% have impaired micro-circulation as a cause or a result. 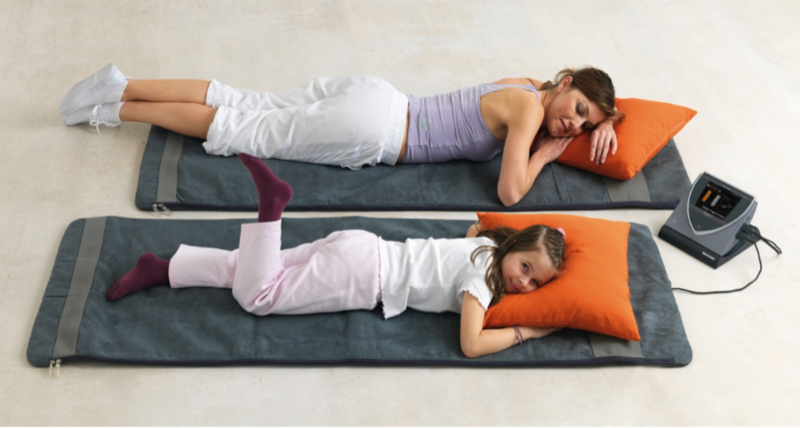 The BEMER wellness device improves microcirculation. The research has shown that simply lying on the BEMER for 8 minutes, twice each day results in approximately 30% improvement in this critical function. How is it possible to improve so much? Of the 45,000 illnesses or conditions that affect humans, 80% have impaired micro-circulation as a cause or a result. By improving microcirculation, we get more oxygen and nutrients into our cells and more waste out. Used by veterinarians and doctors worldwide, BEMER is now coming to America. Learn how it is changing the lives of professional athletes and over a million people worldwide!